Disney miniature Piglet by Steiff. A beautiful limited edition Steiff item, made by hand in pale pink mohair. ©Disney Piglet may be small, but his heart is huge. Although he sometimes appears afraid, he is often courageous when coming to the aid of others. 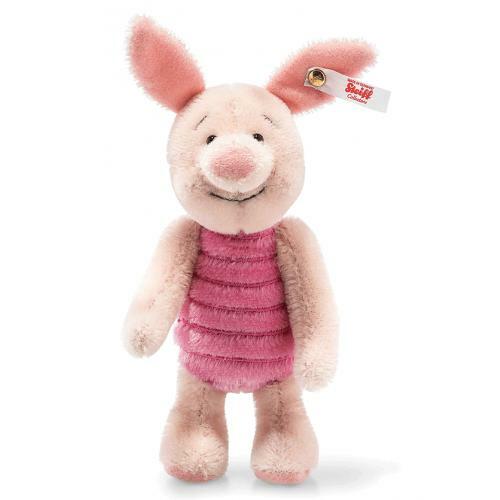 Piglet is Pooh's best friend -- loyal and trustworthy. 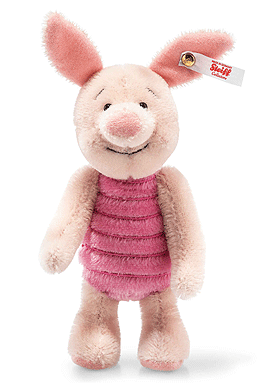 Steiff's version of Miniature Piglet is made of finest mohair with "hand-stitched" details and 16 cm tall.